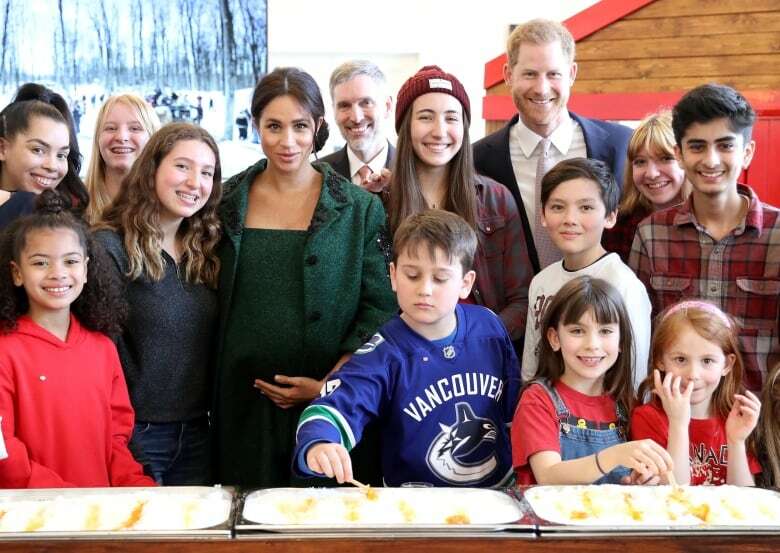 Prince Harry and Meghan, the Duchess of Sussex, visited Canada House on Monday to mark Commonwealth Day. The visit to the home of the Canadian High Commission to the United Kingdom included a meet-and-greet with young Canadians living in London, a musical performance, a short speech by High Commissioner Janice Charette and a demonstration of how to make taffy on snow. Watch it here live at 10:45 a.m. ET. Commonwealth Day is an annual event marked in Canada and the 52 other Commonwealth countries, most of which were at one time under British rule. This year is the 70th anniversary of the London Declaration, in which leaders of the Commonwealth nations agreed to be “free and equal members of the Commonwealth of Nations, freely co-operating in the pursuit of peace, liberty and progress,” with the British monarch as its head. In her message, the Queen said the alliance has “stood the test of time” and that it continues to grow and adapt to contemporary needs. “We are able to look to the future with greater confidence and optimism as a result of the links that we share, and thanks to the networks of co-operation and mutual support to which we contribute, and on which we draw,” she said. Following their stop at Canada House, the Duke and Duchess will join the rest of the Royal Family for a Commonwealth Day service at Westminster Abbey.